Teijin DuPont Films Japan Limited announced that Teonex, the company’s polyethylene naphthalate (PEN) film, has been adopted as a tape material for LTO6, the latest version of Linear Tape-Open (LTO), a key specification for high-capacity magnetic tape data storage for broadband use. 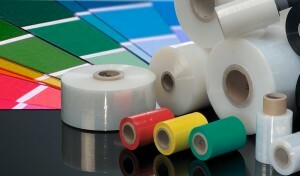 PEN film, a highly functional polyester film originally developed by the Teijin group, features excellent heat resistance, dimensional stability, surface smoothness and thin-film manufacturing, making it superior to PET film as an ideal material for a wide range of electronic and automotive applications. The adoption of Teonex for LTO6 is supported by its proven record of performance with the previous specifications LTO1 to LTO5. The amount of data requiring back-up and archiving by businesses, government agencies and research institutions continues to increase year by year. Teonex will help meet the rapidly growing need for data-storage tape media offering superior capacity and long-term storage. LTO6 has gained attention as the latest specification for broadband data management, boasting storage capacity of up to 6.25 TB per cartridge and data rates of 400 MB/s, well in excess of conventional limits. Teonex maximizes the specification’s capacity and long-term storage capability as an advanced tape offering smooth surfaces, thin manufacturing and superior durability. Going forward, Teijin DuPont Films Japan will continue to develop Teonex for upcoming LTO specifications, as well as expand the film’s markets for electronic materials, displays, automotive materials and solar cells. Teijin (TSE 3401) is a technology-driven global group offering advanced solutions in the areas of sustainable transportation, information and electronics, safety and protection, environment and energy, and healthcare. Its main fields of operation are high-performance fibers such as aramid, carbon fibers & composites, healthcare, films, resin & plastic processing, polyester fibers, products converting and IT. The group has some 150 companies and around 17,000 employees spread out over 20 countries worldwide. It posted consolidated sales of JPY 854.4 billion (USD 9.9 billion) and total assets of JPY 762.1 billion (USD 8.8 billion) in the fiscal year ending March 31, 2012.